A total of 20,000 exhibits on show. Malta’s capital city Valletta was alive and kicking from 1570 onwards, having been built after the Great Siege Victory over the fleet and forces of the Ottoman Empire in 1565. It was built on a parallel grid system of horizontal and vertical roads (later to be followed by cities like New York and Melbourne) and in baroque style with an emphasis on rigorous town-planning rules. The highlights of the buildings were the splendid palaces built for the Knights to serve as accommodation and living quarters, each to their different “langues” (i.e. origins and languages) because although the Order of the Knights of St John of Jerusalem had a common cause, its members came from a spread of Europe’s royal houses and therefore despite the brotherly and comradely aims (European Union style! ), they simply could not live together because of different languages, different foods, different cultures etc. The central courtyard, an essential feature of most Auberges. Valletta has three main inwardly thoroughfares, the main central one being Strade Reale (Royal Street), later changed to Kingsway (by the British) and now Republic Street. It is flanked on each side by Old Bakery Street and Merchants Street, a street whose thrift and commerce speaks for itself in name. 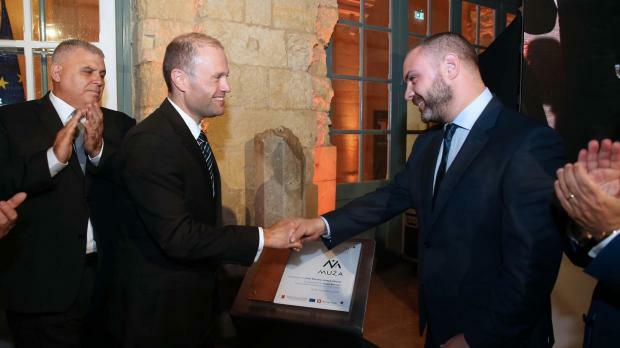 Prime Minister Joseph Muscat (left) and Culture Minister Owen Bonnici inaugurate the new museum. The different “langue” palaces were known as Auberges and bore their national names such as the Auberge de Castille, Auberge d’Aragon, Auberge d’Italie, Auberge de Provence, Auberge de Baviere etc, all now the property of the Government and used as functional offices, Castille being the Office of the Prime Minister. An impressive entrance of different portraits. The Auberge d’Italie served for many years as the main central Post Office and later as Government offices but now it has been designated as an international niche to contemporary arts and has been inaugurated as MUŻA which is the Maltese word for MUSE and therefore tour, view, think, imagine and dream. 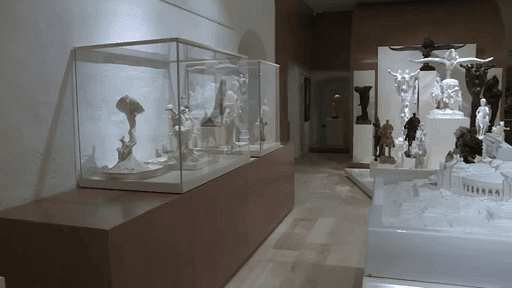 This is Malta’s new National Museum of Contemporary Arts. Although yet to be opened to the public (due for early December) it has already been a hit with visiting critics. The London newspaper ‘The Guardian’ has already pronounced it as one of the 13 new European museums that must be visited. ‘The Architecture Digest’ has said it is one of 15 museums of significant value that have opened this year. 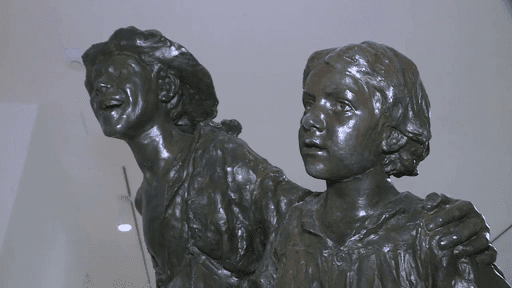 Sciortino’s famous sculptor ‘Les Gavroches’ based on French children during the French Revolution. Now no longer open to traffic, Merchants Street is a busy thoroughfare normally thronging with pedestrians. Entering between the portals of the historic and baroque Auberge d’Italie transfers one into a completely different world, a world of calm serenity and contemplation. 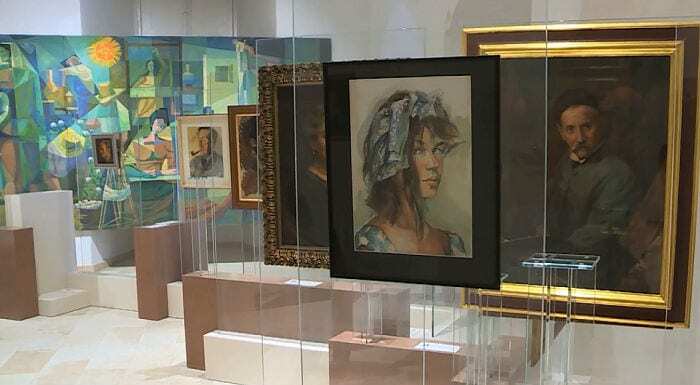 The entrance is devoted to portraits of renowned artists towards the end of the 19th Century, including a number of self-portraits. 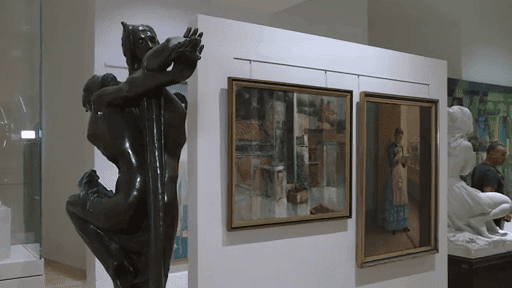 This opening leads to two halls that are dedicated to great artists. 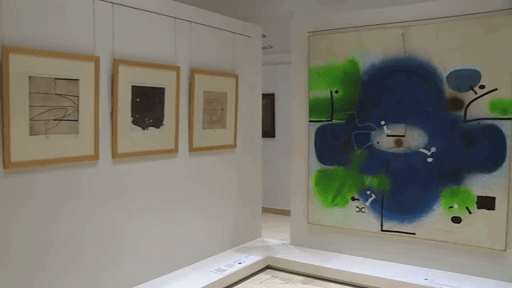 One contains the works of Victor Pasmore, a British artist renowned for his abstract works and who lived in Malta, and the other contains the priceless works of Maltese sculptor Antonio Sciortino, including his model of the Tomb of the Unknown Soldier that was bound for London. As a result of the many drawings that Sciortino did for this monument, MUŻA has a virtual video as to what this grand monument would have looked like. More models by Antonio Sciortino. 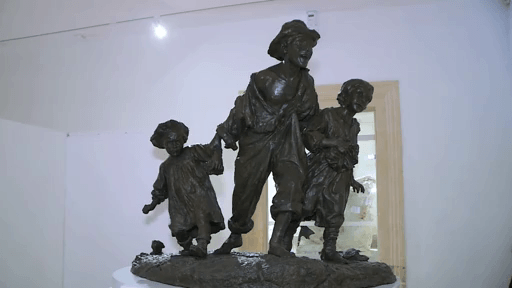 Exhibited there is also the original model of ‘Les Gavroches’ as well as various other Sciortino sculptures that he first did in plaster and then produced the bronze version. The information about the exhibits is basic, the scope being not to inundate visitors with too much detail. Short videos have also been produced to enable the public to appreciate the work process carried out on certain works. On the upper floor there is space dedicated to the teaching of art to enable the visitor to experience the feeling of entering an arts class. 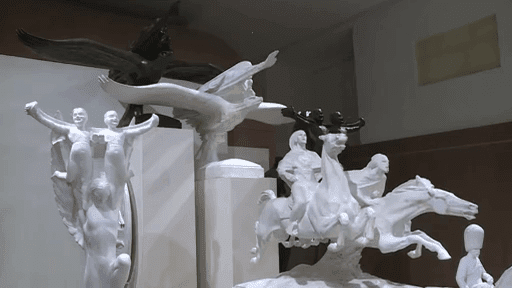 There is a model in the centre surrounded by easels and sketches of the model from different angles. 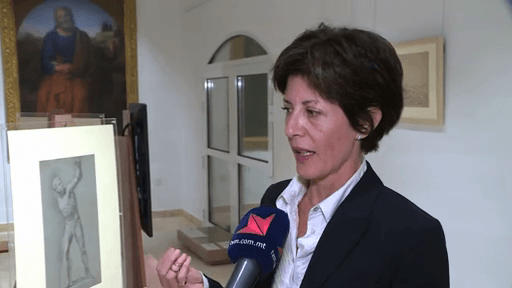 Curator Bernadine Scicluna said the class has to reflect certain standards, such as the curriculum that was used in the school of arts that was established at the beginning of the 19th Century. At the time such a school was an innovation because before that, artists had their own workshop and new aspiring artists would be taken in as apprentices or assistants and receive their instructions under the direction of an established artist. For many years the first ground that visitors trod when they arrived in Malta, that is, the Grand Harbour area and Valletta, is reflected in a lot of artistic works. Naturally, there are sections dedicated to the Mediterranean and the era of the British Empire. 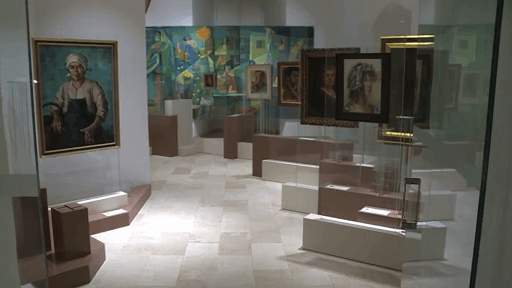 As the national art collection held by Heritage Malta is vast, the museum’s exhibits will be changed regularly to enable the public to view as extensive a spread of arts heritage as possible. Due to open to the public in December. 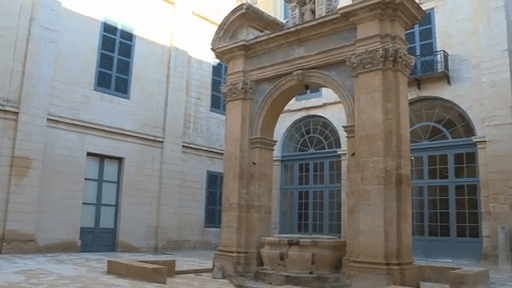 In all the investment in this new National Museum of Contemporary Arts reached €10 million with extensive restoration works carried out by Heritage Malta on the ancient building. 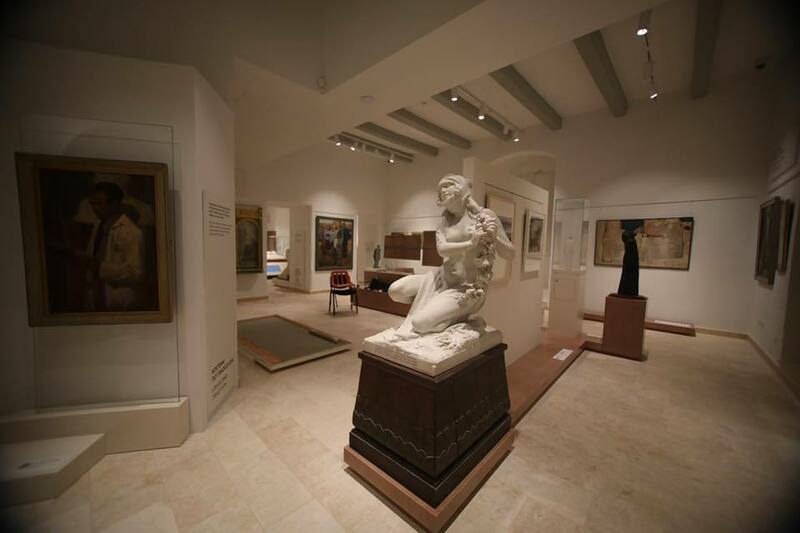 At any one time 20,000 different exhibits are featured. Be prepared for the anguish and anxiety that is on the way. MALTA DIARY: The legends and myths of Calypso’s Cave – was Greek hero Ulysses detained there as a captive lover?